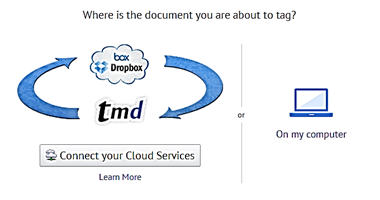 You can now tag documents stored on your Dropbox and Box accounts, directly from your TagMyDoc account. Easy and hassle-free. All documents you’ve chosen to tag from your Dropbox and/or Box accounts will be stored on your TagMyDoc account with its initial document name. A tagged version will also be automatically stored on your Dropbox and/or Box account, with the word “tagged” appended to the end of the document’s name. We’ve made it easier for you to keep track of all tagged versions of your documents. Make sure to try it out.It’s so much easier for you to tag and share your documents with the help of this. Cheers, and keep on tagging.